This is one of many stories we could tell about designing Rooms. While search is a seemingly straight-forward piece of UI with tons of examples to reference, I wanted to expose the whole process: from deciding if we even needed to build search, to fully fleshing out details for internationalization. the content within most of the rooms would be of low quality (e.g. “testing”). Instead, we wanted every room to have a solid foundation — built by a motivated founder who could recruit people they already had loose connections with. We guessed that this would increase the chances of having a dedicated founding group and a successful room. 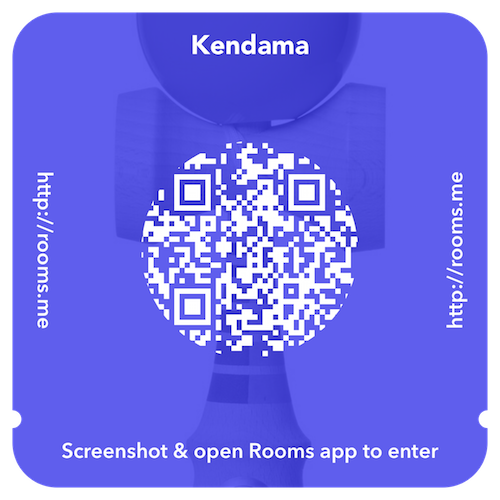 An invite for Kendama, a room for showing off tricks on the Japanese skill toy. The promise of the internet was meeting people you couldn’t meet in real life and connect with them over mutual interests and passions. 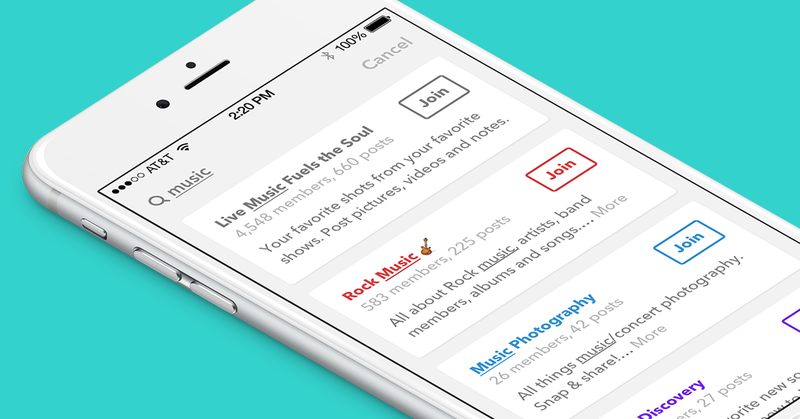 Our vision for Rooms was to enable those connections to form in today’s mobile-dominant world — and in this mobile world, images are the easiest things to share (as opposed to copy/pasting a link). A “visual URL” could enable fast sharing in messaging/social networks, from a computer screen to a phone, and even between two phones in real life (like Snapchat’s latest friending feature). We thought the invites could spread via existing networks — and it did for a couple of our strongest rooms like Kendama (where people showed off tricks on the Japanese skill toy) and Emulators (where gamers discussed emulation on iOS). 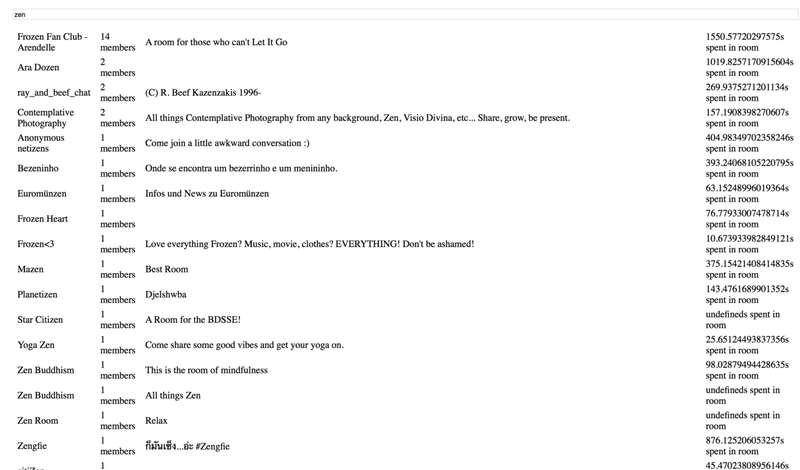 Kendama bootstrapped heavily off an existing Facebook group, and Emulators from the iEmulators website. Around three months before we initially launch Rooms, we had a changeup in our design team. Cemre Güngör, who had come with me from the Branch acquisition, transitioned to the News Feed team. Andy Chung swapped places with him and joined us in London for a sprint with the engineering team. After we launched, Andy pushed for us to explore search — we finally had a number of rooms that could populate search results and helper apps were cropping up. 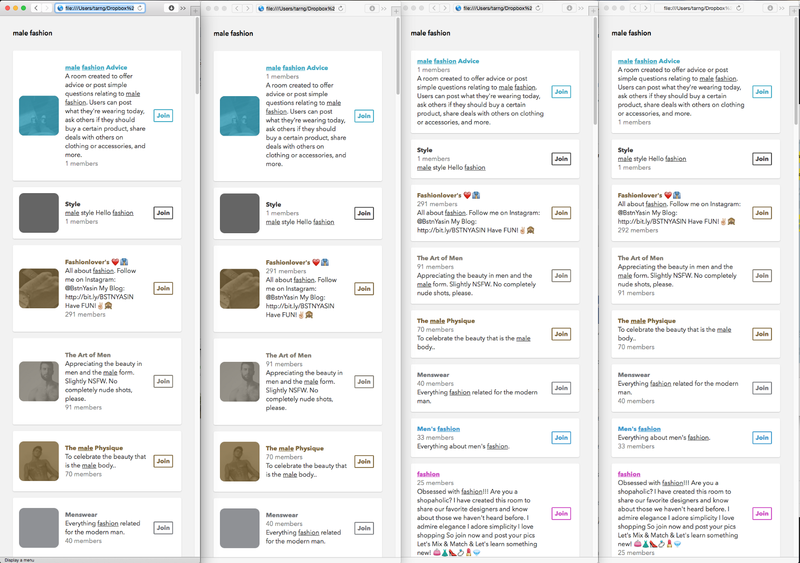 Josh Miller (PM, also via Branch) and I had doubts about whether we were ready to do search, but we decided to spend some design time whipping up a prototype to see what sort of results we could get. Rooms is built on Parse, which has some handy REST endpoints I used to quickly get a hacky regex-based search prototype running in a day. It was capable of partial string matches within both the title and description of the rooms, and fetched some metadata that I hoped could help us decide how to rank results. 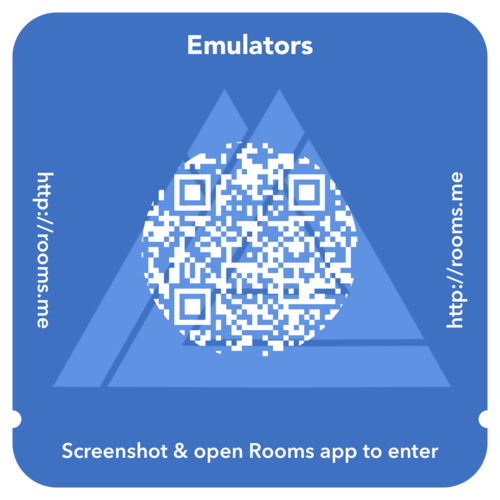 To check out if the rooms were actually valid or not, I pulled the top four posts (based on likes and comments) which linked to the web permalinks, and also incorporated a QR generator that I could scan with my phone to get into the real room. How would we display the results? As for displaying the results, I thought the post previews would be the most informative, but they required more engineering time that we wanted. Ranking based on member count and post count made the most sense — other metrics I tried, like time spent or comments per user, all mapped to member and post count. The next step was to bring this feature to a more visually realistic and interactive stage. At this point, Explore was already in the app: a hand-curated collection of rooms that we had vetted for quality. It made sense for search to live within that view and reuse the designs. 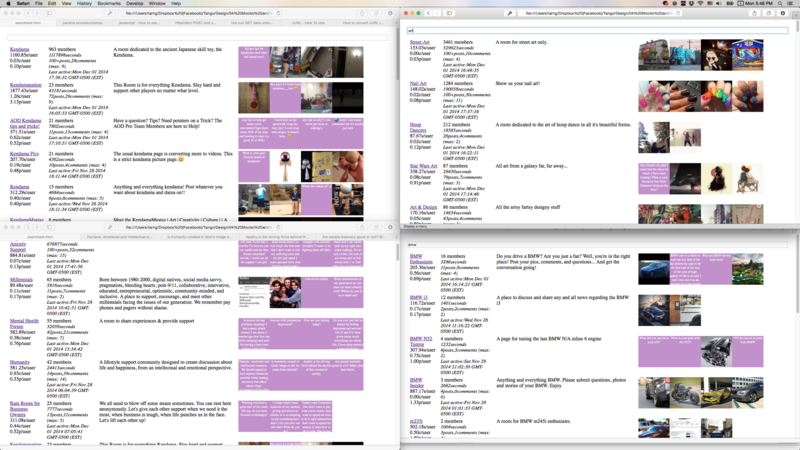 Quickly implemented some initial designs in the prototype, and tested some different ordering of metadata. This one tried to preserve the “card” representation of rooms that you see in the main view of the app (which we call the “street”), and animated a room to the right, since thats where the rooms went when we entered the search view. This one modeled off iOS style app switching, while preserving the left/right relationship of search/your rooms. It was quick and felt right. At Facebook we spend a decent amount of time living with a feature and improving it before we release it. This was especially true for a product like search. With my personal queries I found some interesting rooms, but we wanted to see if search was helpful for a broader set of people. Along with this validation, we also began to discover edge cases, like supporting dynamic type, and localizing with longer strings. Couple later iterations on buttons. While using icon-only buttons was appealing, I didn’t think ‘+’ could communicate what ‘Join’ actually meant. Theres no sound here, but imagine a ‘ding’ when the arrow comes in. Sound design is an integral part of high fidelity prototyping! After a month of work, Rooms 1.3 is out in the app store. Check it out and see if you can find that room you’ve been looking for. If you were into the iterative prototyping, Facebook is hiring in New York, London, Seattle, and the bay area. Thanks to Alex Akers, Hermes Pique, Andrei Gheorghe for dealing with me in building search; Matt Galloway, Stephan Diederich, Robyn Morris, Alex Fortunato, Alan Cannistraro, Laurie Mueller, Caroline Hudack and the rest of the Rooms team for being cool.